We’re back with the first Tasty Tuesday of 2017 with an old favorite: Global Village! 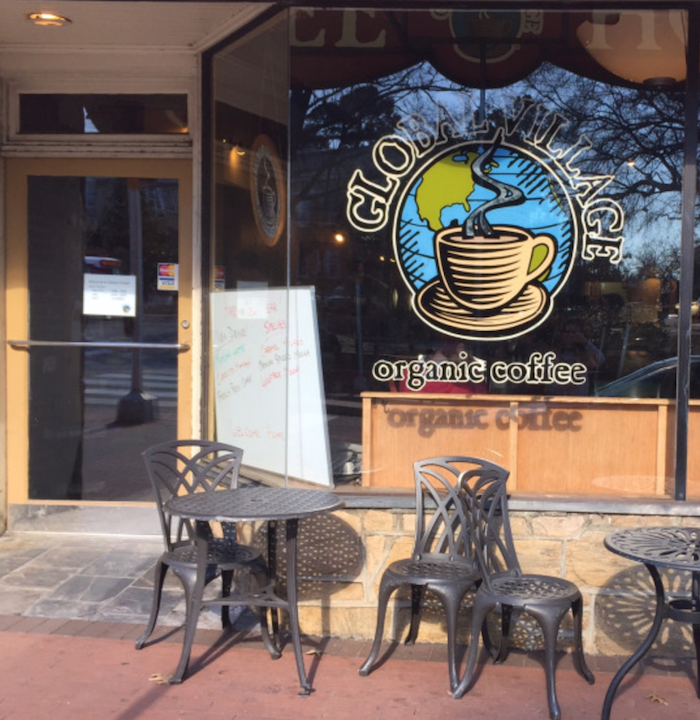 After the holiday season, and the somewhat disappointing sequel to Snowmaggedon, it’s time to get back into schedules and routines again, but if you’re still not quite ready to go back to old study, work, and hang out spots, give Global Village a try. You can rest and recharge after a long day with a cup of warm tea, or you can plug in and rev up with multiple outlets, free Wi-Fi, and as much caffeine as you need to get through the day. Global Village has become one of my “regular” hang out and work spots this year because it really does have the perfect atmosphere for both. Everything about the coffee shop adds to the relaxed atmosphere: from the range of comfortable seating to the big mugs and glasses full of coffee or tea. At the front of the coffee shop there are tables filled with people talking, laughing, listening to music, or typing away at computers. It’s the perfect area for catching up with friends, but if you’re looking for a quiet place to study, read, or work, keep walking towards the back. You’ll pass a couch and comfortable armchairs before you reach a quiet spot in the back corner equipped with outlets and perfect for catching up on anything you need. On top of having a laid back atmosphere, Global Village also takes pride in providing healthy food and drink options. The coffee shop uses organic, shade grown coffee beans to promote a cleaner environment and better working conditions. 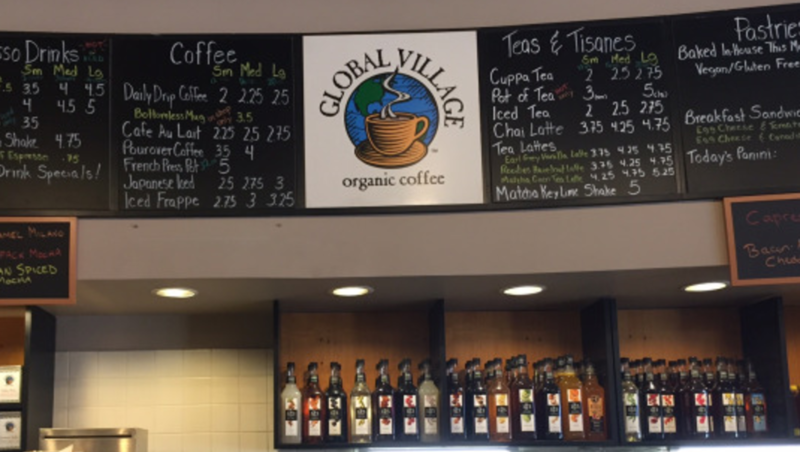 If you’re not a coffee drinker, you can also get your daily caffeine kick from the numerous teas that Global Village offers. As far as the food, the pastries are made in-house daily and always include vegan or gluten free options. There are also breakfast sandwiches and a daily panini. When I went to Global Village for lunch, I ordered a mozzarella panini and an iced caramel latte. The cashier and barista were friendly, the service was quick, and the food and coffee were delicious. 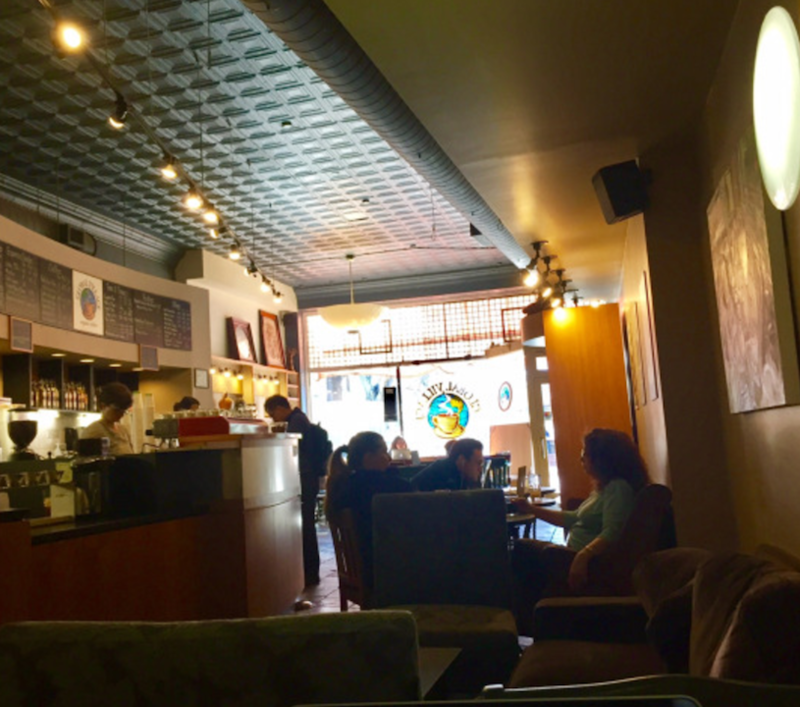 After eating, I got my laptop out and worked for about an hour, enjoying the soft music and the overall atmosphere of the coffee shop. 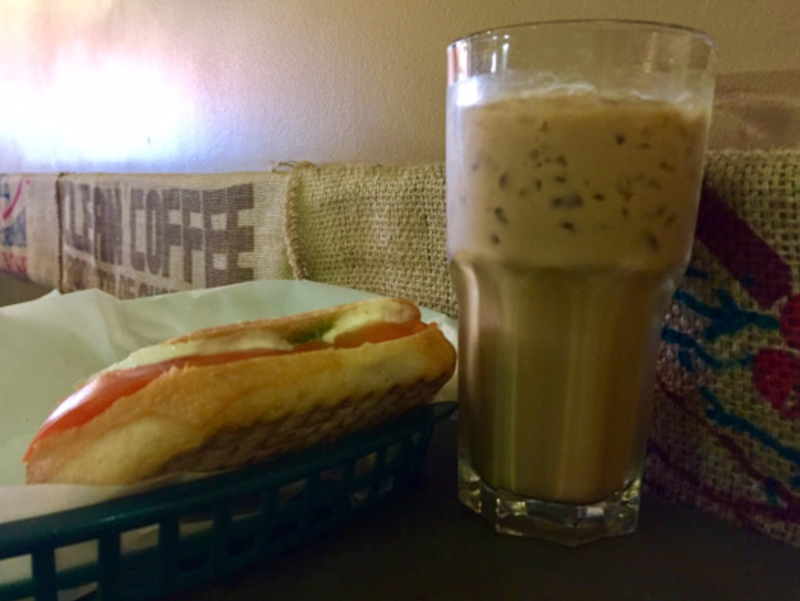 Next time you need a pick-me-up, want to relax with friends, or just need a change of scenery when working or studying, make sure to check out Global Village and order a coffee, tea, pastry, or panini to get you back on track this year! Mon-Fri: 7:00 a.m. – 7:00 p.m. Sat: 8:00 a.m. – 6:00 p.m.